West Virginia figured cherry timber, 60" x 24" x 30." 2018. West Virginia figured cherry timber, 60" x 24" x 30." 2018. 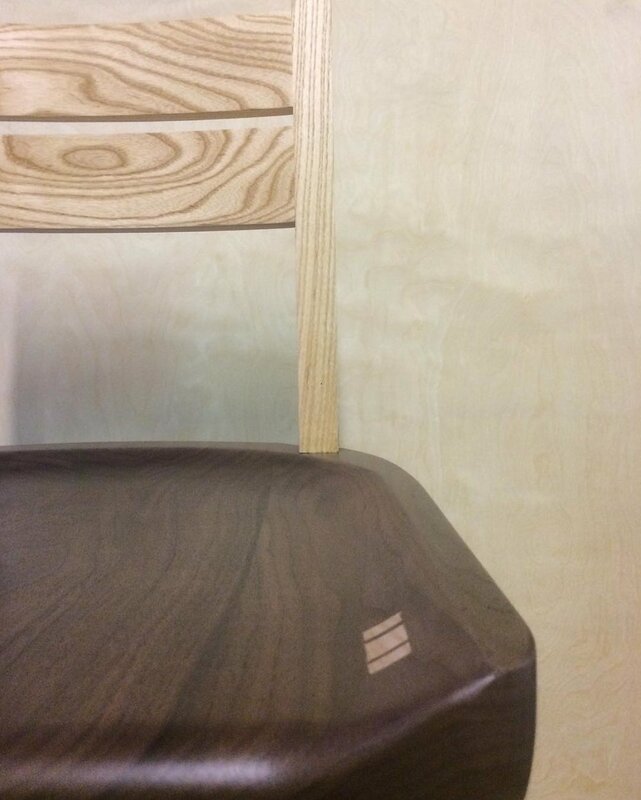 Maple and cherry drawer detail with traditional wood-on-wood slides and through-mortise joinery. West Virginia figured cherry timber, 58" x 24" x 18." 2017. Figured cherry veneers and timber, 84" x 96" x 26." 2017. Dining table and set of 8 chairs. Cherry timber and veneers, 2017. Set of 4 in sustainably sourced black walnut and ash timber. 16" x 16" x 44." 2017. Detail view of grain-matched seat backs and seat with wedged through-tenon for front leg joinery. 16" x 16" x 44." 2017. Sustainably sourced black cherry timber and veneer and ash veneer. 24" x 13.5" x 30." 2017. 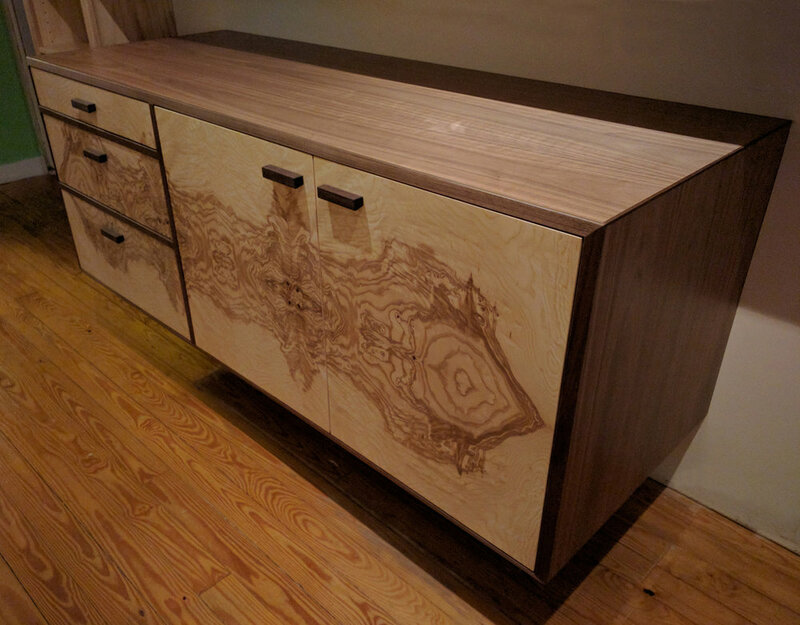 Sustainably-sourced black walnut timber and veneer with olive ash burl doors and drawer-fronts. 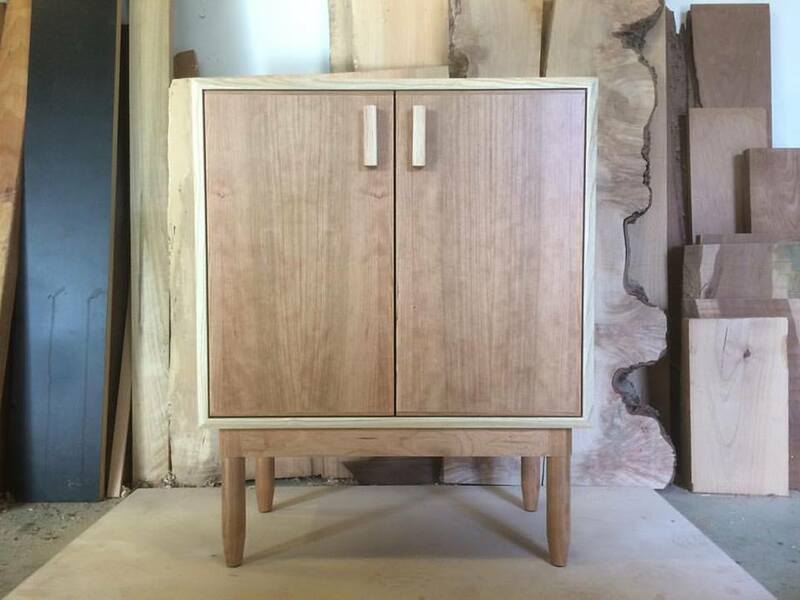 Drawers in ash timber. 65" x 24" x 24.5" (Floating). 2016. 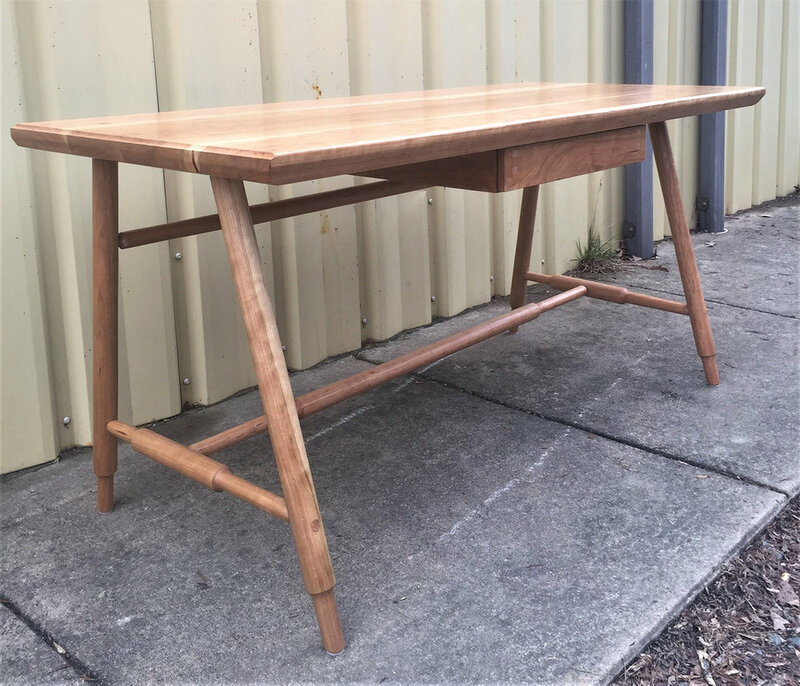 Reclaimed pine timber, with bubinga joinery details. Prototype. 19" x 19" x 28." 2016. Ash timber with walnut joinery details. 19" x 15" x 26." 2016. Sustainably sourced black cherry timber and veneer. 32" x 32" x 30," 2016. In sustainably-sourced German beech timber with wenge pulls. 84" x 36" x 25," 2016. Sustainably sourced German beech timber with wenge pulls. 14" x 14" x 60." 2016. Figured hard maple timber, with dovetail box joints and re-housed Fender Blues Jr. chassis. 23" x 14" x 10," 2016. Sustainably sourced German beech timber with stainless steel drawer pull. 25" x 14" x 28." 2014. Natural and stained maple timber. 25" x 38" x 15." 2015. North Carolina black walnut timber, with drop-in bookshelf. 60" x 36" x 14," 2014. North Carolina black walnut timber. 60" x 36" x 14." 2014.